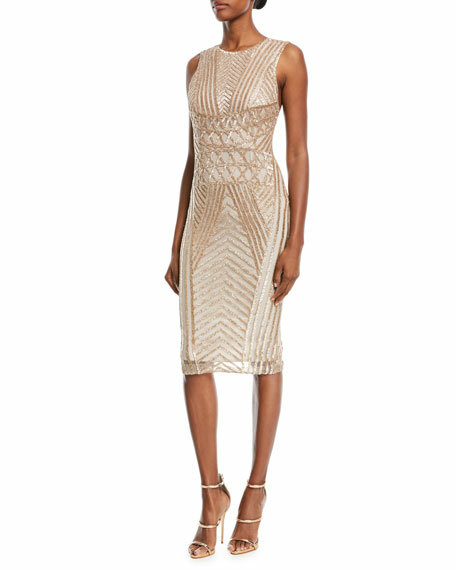 Rachel Gilbert hand-beaded cocktail dress. 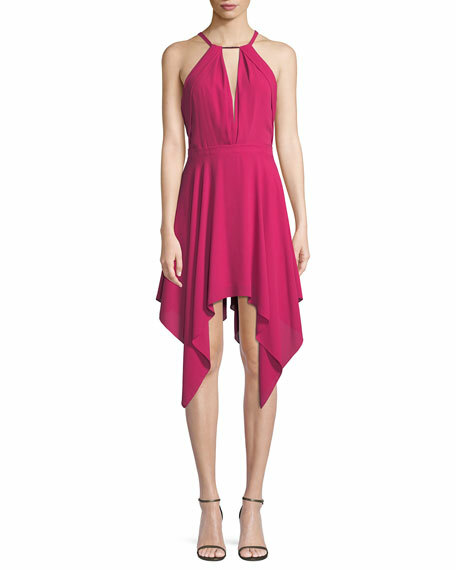 Launched by the Australian designer in 2007, Rachel Gilbert eveningwear has quickly gained world renown. 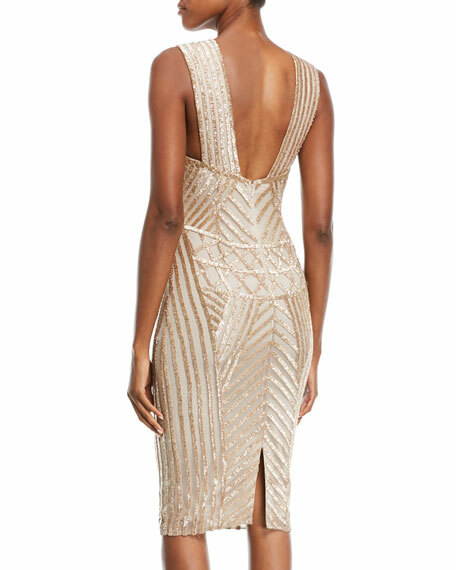 Rachel Gilbert gowns and cocktail dresses, executed with intricate hand-beaded detail, shine in the red carpet spotlight. 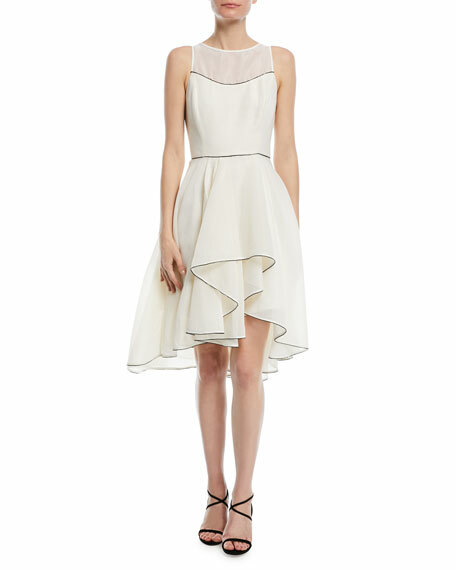 From intimate cocktail parties to grand galas, white tie, black tie, and beyond, Rachel Gilbert creations are the perfect choice for women who seek a modern vision of femininityluxuriously styled. For in-store inquiries, use sku #2478266. 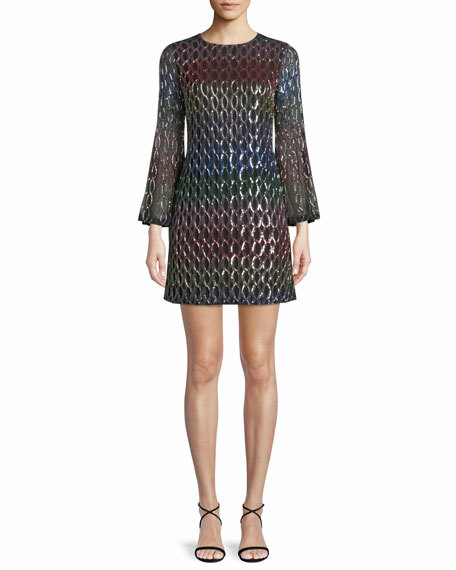 Alice + Olivia "Thym" cocktail dress in multicolor geometric sequined design. Crew neckline. Long trumpet sleeves. A-line silhouette. Mini length. Back zip. Acetate/polyester; lining, polyester/spandex. Imported.